Police in Cross River State have paraded eighty (80) suspected criminals and recovered Three Hundred and Thirty Two (332) arms and ammunition in the State. Parading and displaying the arms, the state commissioner of Police, CP Mohammed Inuwa Hafiz said that the command mopped up imported, English and locally made guns. 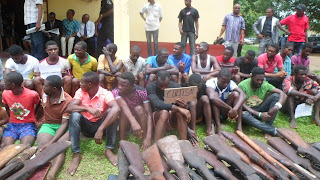 He listed the criminal suspects to include, 16 armed robbery suspects, 16 murder suspects, two criminals, 27 cultists, two defilement, one impersonator, one unlawful possession of live ammunition and 332 assorted mopped arms. CP Hafiz said, “The command has already inaugurated a committee of six persons under the chairmanship of ACP. 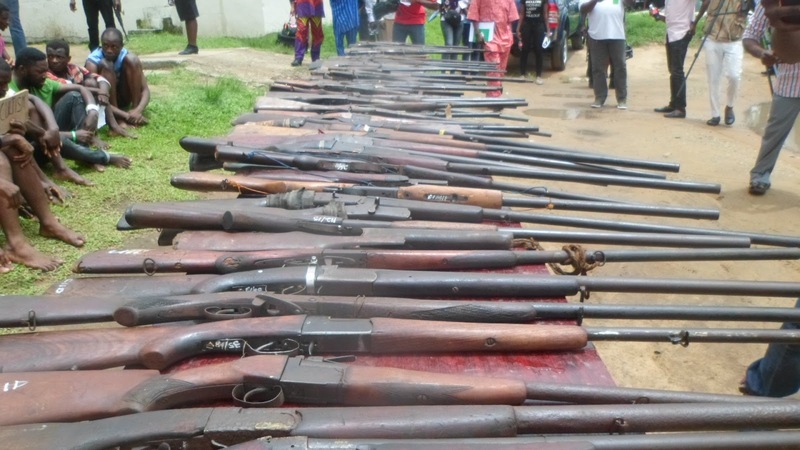 Simon Udofia to mop off all illegally/unlawfully acquired firearms from unauthorized users. 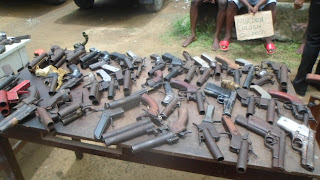 He said those who are yet to voluntarily surrender all illegally acquired firearms (Locally and manufactured or foreign) to the committee must do that within one week or face the full wrath of the law. He said financial reward awaits any genuine information given. “The Command is not unmindful of the recent cult/Communal clashes in the state, especially in Calabar South, eight miles in Calabar Municipality, some communities in Boki, Obubra and Obudu local government areas respectively”. 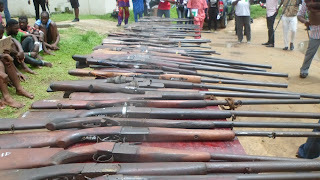 The Commissioner said that the command has assiduously strategized an onslaught on these cultists/criminals across the state and will never renege on this no matter whose ox is goared. 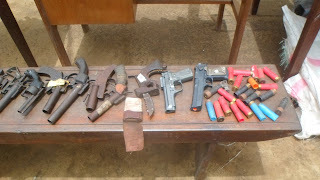 In furtherance to this, the command he explained will not stop soliciting the support of traditional institutions, religious leaders, youths, community leaders, judiciary and the political class to join hands with the Police to fight these upsurges that tend to shatter the peace of the state.